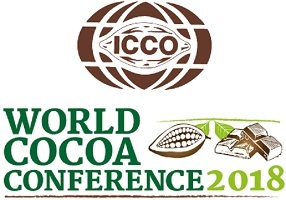 Next week is an important milestone for the world of cocoa — some 1,500 stakeholders from around the world will gather in Berlin for the biennial World Cocoa Conference (WCC), organized by the International Cocoa Organization (ICCO) and hosted by the government of the German Federal Republic. Sustainable Production, Prosperous Farmers and Thriving Communities: How can we move to a sustainable business case and a living income for farmers? Sustainable Value Chain: How can we create an efficient industry chain that more effectively links farmers to markets and ensures profitability for everyone in the whole chain? Sustainable Consumption: How do we ensure continuous and growing demand for sustainably produced cocoa and cocoa-based products? I am delighted to join a panel discussion on the pressing challenge of deforestation that will showcase our new Cocoa and Forests Initiative. The Joint Frameworks for Action, signed by 26 global cocoa and chocolate companies and the governments of Côte d’Ivoire and Ghana, are an unprecedented commitment to end deforestation and promote forest restoration in West Africa. Innovative public-private partnerships like this — backed by financing from the World Bank, UNDP, Green Climate Fund, UK and German Governments, and others – demonstrate the potential for transformative action on climate change and sustainable development. Promoting “more cocoa from less land” — As we seek to improve the profitability of cocoa production, governments need to enact complementary measures for improved land-use planning and enforcement of national environmental regulations to ensure that cocoa is grown only in environmentally sustainable areas. Most importantly, we believe there is need for better coordination of national production policies and programs of cocoa producing countries to ensure stable and sustainable long-term supply management consistent with global demand projections. The new joint commission of Côte d’Ivoire and Ghana is a positive step in building regional collaboration. 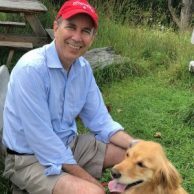 There is one bittersweet element of 2018 WCC – this will be the final meeting with Dr. Jean-Marc Anga at the helm of ICCO. Jean-Marc has been an outstanding champion for the global cocoa economy, and I have been honored to call him a friend. The German writer Goethe observed: “Wer nicht vorwärts geht, der kommt zurücke” – “If you’re not going forward, you’re going backward.” WCC is a chance for all of us who care about sustainable cocoa to work together and move forward. See you in Berlin.